The canna-chefs at Binske have outdone themselves with this Granny Smith Apples Fruit Leather and its delightful infusion of 100 mg of premium THC extract. 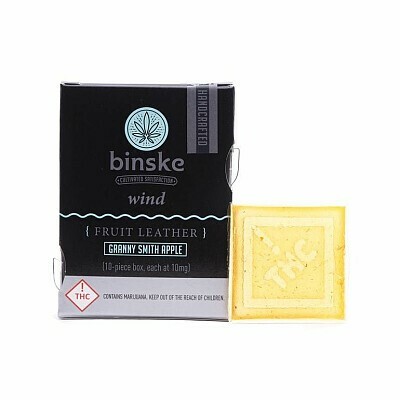 Binske utilizes all-natural and preservative-free Granny Smith Apples from Australia in tandem with potently uplifting THC extract to create this palate-pleasing strip of heaven. This edible can be stored in a bag or a purse and enjoyed at once for daylong delight or piecemeal for a week's worth of elation and smiles. With Binske at your back, the world is your oyster.